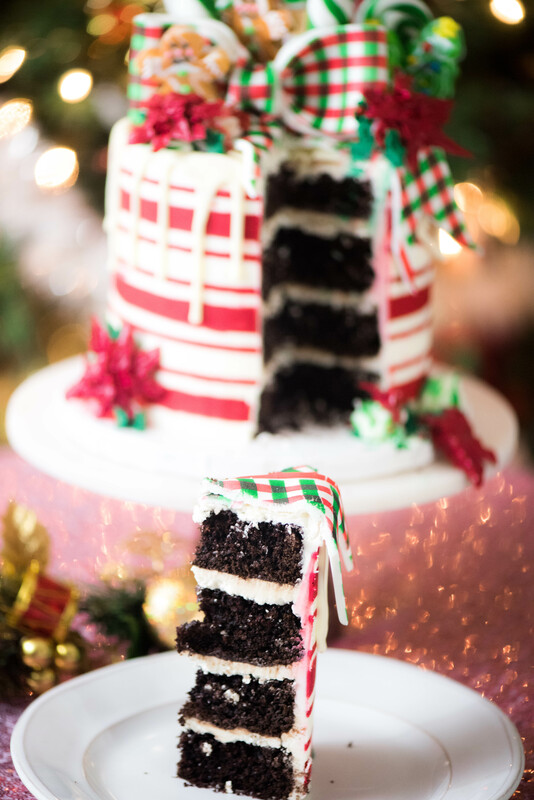 For chocolate lovers who can’t decide between white and dark chocolate we have this outrageously delicious dark chocolate cake with a white chocolate peppermint buttercream. Grab the recipe here. Grease and flour two 9 inch round baking pan. Stir in boiling coffee water by hand (batter should be thin). Divide the mixture into the prepared pans. Cool for 10 minutes before removing from the pans and placing on wire racks. Place the butter into the bowl of a stand mixer and beat at medium-low speed until pale. Slowly add confectioners sugar one cup at a time until combined and then turn up the speed to medium. Add in melted chocolate and milk and peppermint extract and beat for 5 minutes until silky smooth. Torte each cake into two even layers. 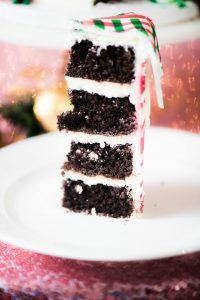 Place a layer of cake on a cardboard round and spread over an even layer of buttercream. Spinkle over some finely chopped peppermint patties and continue until all layers have been added. Crumb coat the cake with buttercream before adding a final layer. For added glam, pour over a chocolate drizzle and decorate with holiday candies.